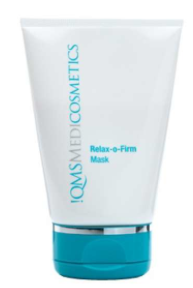 QMS – The Best Facial I Ever Had! Last week I went for an educational facial with Anel from Future This. Anel absoloutely believes and loves this brand so she was the best person to teach me about QMS what it represents and of course gave me an amazing facial. When someone is that passionate about products it makes you really excited to try. The man behind the brand is a German cosmetic surgeon Dr Eric Schulte created this elite medical skincare range based on research led, Collagen enhancing technology to create a regeneritive skincare range. As we get older (like me) our collagen stops producing, our skin starts to sag and we get wrinkles. This skincare range was created to help with all these issues as QMS origonated from the research into the critical role of collagen in skin regenration and effectively treat damaged and ageing skin on the face and body and return it to a more youthful and healthy status. Deep Cleansing: My entire neck and face was cleansed so as to take away any dirt and excess oil and make up before the facial begun. The product contains no mineral oils and helps enhance the penetration of collagens and boost the skin’s natural protective functions. Exfoliant Fluid: Anel explained that most exfoliators don’t penetrate the skin they just work on the sufrace where as the QMS fluid which is a natural AHA exfoliant that incorporates the patent delivery technique NEXTT, which allows the ingredients to penetrate 15% deeper and regenerating ingredients are delivered over a period of 12 hours, ensuring facial results last a long time after the treatment. This fluid makes the skin really tingle and the face goes red and it got the point where I got so hot that Anel had to put the airconditioning on but it meant that the product was really working. Algen Modelage: Anel asked if I wanted the “rubber mask” put on as it would cover the whole face excluding the mouth and she could only remove it once it was set. So as I trusted her I went with it. So the algen was applied over my face and when it sets its like rubber and then is peeled away. The mask gets an imprint from your face so Anel could tell I was dehydrated under the eyes (tired as always) and that I had a breakout by my mouth. The mask basically is used to lift the skin’s dead cell’s after the exfoliant fluid has done its work and leaves the skin feeling really fresh and revitalised. Freshening Tonic: This was applied so as to stabilise the skin’s pH after the exfoliation and allow maximum absorption into the skin after exfoliation and leaves the skin feeling so fresh and so smooth. Day Collagen: This product has a 70% of natural solluble collagen with protective anti oxidants making it a firming and hydrating serum. The QMS natural solluble collagen can swell up to x 360 in its own weight in moisture giving instant results on fine lines and wrinkles. 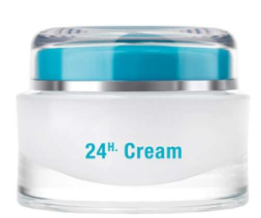 24 Hr Cream: Anel massaged my face with this super moisturing cream with a 24 hour complex protective and moisturing complex. 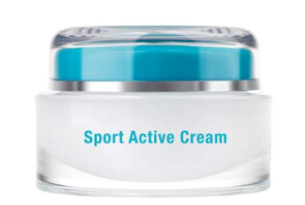 The cream also contains an anti-free radical complex of Vitamin A,C,E. I didn’t realise how tired I was until my face was being massaged and with Anel’s expert skills I was so relaxed I almost fell asleep. I have been using the cream as part of my nightly beauty routine and I love it. Relax-O-Firm Mask: Its a moisture regulating cream mask with muscle relaxing properties Anel applied a thick layer onto my face. This mask is for lifting and smoothing out fine lines, wrinkles and expression lines. (I will be buying one of these for sure). Plaster of Paris: So this is the first time I have ever had Plaster of Paris on my face. Anel explained that using this would help create the maximum liftting effect so that all the ingredients will penetrate properly into the skin. After about 15 minutes the Plaster of Paris was removed and all the excess product was then cleansed off. Instant Perfection, Neck and More and Sport Active: To finish off the treatment Anel applied the Instant Perfection around the eye contour. 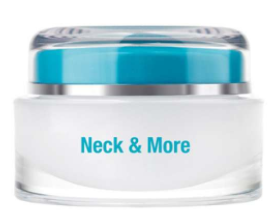 The Neck & More was applied on the decollete and the neck and then lastly the Sports Active tinted moisturiser was applied all over my face which has an SPF 15. The tinted moisturiser adapts to your skin colour leaving an even skin tone and also contains polyphenol anti-oxidants for protective protection against harmful effects of UV rays. When the facial was done I have never felt or seen the way my skin looked. Anel told me not to put anything on my face and I was going to meet my husband and go out. I didn’t put any extra make up on my skin because it felt and looked amazing I don’t think my skin has ever glowed as much. If you are Cape Town based like me then get yourself to the Cape Grace and try the facial for yourself its pricey at R850 but trust me your skin will love you for it. I am definitely converted. Prices of product range from about R680 upwards and definitely worth the investment especially from women in their 30’s all the way upwards. I have already advised my mum to start using these products. Skincare is so essential and a brand like QMS is definitely what our skin needs. Check out www.qmsmedicosmetics.co.za/.com for more info about the brand and press coverage that the product has had in SA and overseas. So last week I was invited for an educational skincare for Acuizhen which is an all organic skincare range. Anel from Future This, is the Skin Specialist who did a facial for me and talked me through the range. If you are a big fan of organic skincare then you will love this brand. The man behind the brand is Dr Erich Schulte, he has been at the forefront of skincare and skin improvement for decades. In creating this range he has applied contemporary scientific knowledge to deliver active ingredients naturally occuring in plants effctive formulations. The name Acquizhen and the word in the name “zen” emphasizes the qualities of deep thought, peace and intuition which are important components of the Acquizhen approach. The range has been designed to be absolutely efficacious which you want for your skin but that will also be gentle on your skin. The ingredients are harvested from organic or sustainable wild sources, where a minimum of 99.20% of the active ingedients are derived from natural sources. 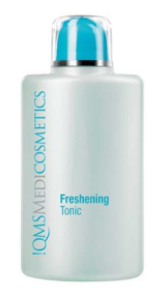 Freshening Cleanser R280: Its a cleanser and toner in one that effectively cleanses without stripping the skin and leaves the skin with a balanced pH. 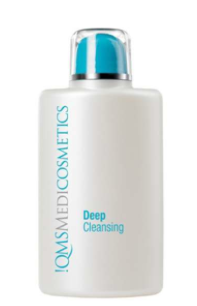 It is purifying deep into the pores and on a cellular level neutralises damaging effects of free radicals. Key ingredients: Apple (promotes skin elasticity), Witch Hazel (closes open pores and reduces skin irritation), Alfafa (antixoidant), Resveratrol extract from the young leaves og grapes (neutralises cells and prevents premature skin aging) and Sweet Orange esential oils (revitalises skin). Gentle Exfoliating mask R450: This made my skin really tingle because it was stimulating my skin ( but not in a painful way) this product is good for anti ageing and revitalising the skin (need that in my life). It contains enzymes that gently removes dead skin cells. Apparently the tingle happens because of the ingredients and low pH. Key Ingredients: Aragan seeds, Papaya extract (removes dead skin cells and softens skin), Alfafa, Witch Hazel, Apple extract, White Tea, Ginger extract and Bisabolol (maintains skin’s elasticity, ani-oxidant and anti-inflammatory), Resveratol, Green Coffee Oil (supports skin’s natural regeneration) and Grape Seed Oil (essential for mainaining healthy skin). 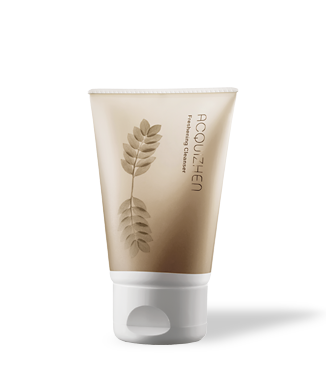 Nurturing Night Cream R650: This cream was massaged in my face. It focuses on the repair and regenerating process and its most active during the night time. It will firm and distress environmental damage caused during day time exposure. Key Ingredients: Blackberry Leaf, Alfafa, Kigelia extract (firm and soothe skin), Papaya, Grape Seed Oil, Hyaluronic acid (contains intensive moisture), White Tea, Reservatrol, Ginger extract and Lavender (soothes skin). Rebalancing Mask and Tabs R550: This is a fresh skin smoothing fleece mask which improves the appearance of stressed and tired skin. Replenishing Day Cream R650: This cream moisturises, protects and refines every type of skin type and gives radiance and vitality (yes please). A firming effect is achieved if its used every day and also treats fine lines and wrinkles. Its high in collagen and anti-oxidants. Key ingedients: Para Cress extract (alleviates fine lines around the mouth and eyes), Kigelia, Edelweiss extract (anti-oxidant and protects against sun damage), Green Coffee, White Tea, Resveratol, Apple extract and Ginger extract. Exfoliate its key to treating the signs of aging beacuse it increases the cell turnover which slows down with age. If you don’t exfoliate your skin will be dull and you will see more fine lines. Exfoliating helps stimulate the skin’s cell turnover as well as cellular metabolism which help brighten the complexion and reduce fine lines and wrinkles. Always wear SPF even in winter. Make sure you choose an SPF of 15 or higher and make sure you get a good cover of UVA and UVB rays.